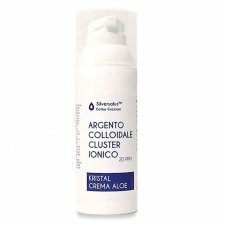 Colloidal Silver ionic cluster Kristal Aloe Cream, 20 PPM. 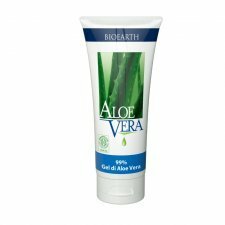 All natural product for topical use based on colloidal silver that offers the additional benefits of Aloe Vera. 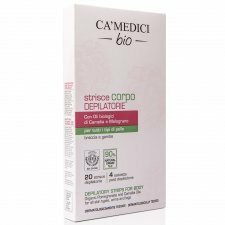 Ca’ Medici Bio organic body wax strips have been made using innovative, eco-sustainable materials and biodegradable, bioplastics from renewable sources. 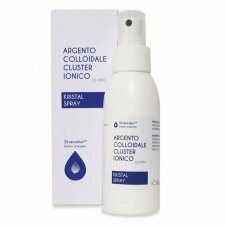 The formula contains over 90% natural ingredients and organic Pomegranate and Camellia oil, guaranteeing delicate hair removal. Skin feels velvety-soft and perfectly waxed. 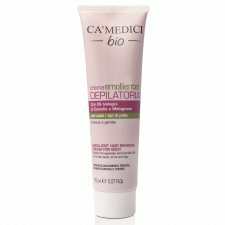 Ca’Medici’s organic emollient hair removal cream delicately and painlessly removes unwanted hair from the legs, arms, underarms and bikini area. Thanks to the softening action of the Organic Camellia and Pomegranate Seed oils, the formula effectively removes all traces of hair. Your skin is left feeling soft, hydrated and smooth like silk. 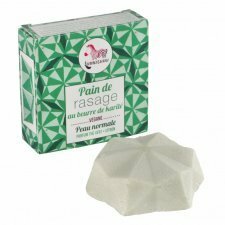 This oriental wax is made with only natural ingredients, no parabens, dyes and chemical ingredients and is certified ECOCERT. 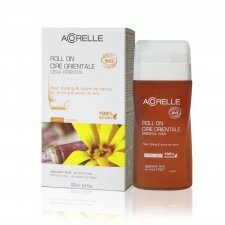 The new formula developed by Acorelle is even more effective against the short hairs for epilation lasting and flawless and is also suitable for sensitive and delicate skin. 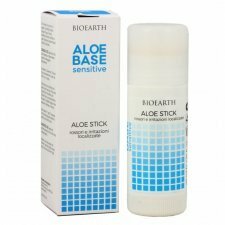 With essential oils of Ylang Ylang from the calming power, organic cane sugar acts as a preservative and natural glycerin for hydration of the upper layers of the epidermis. 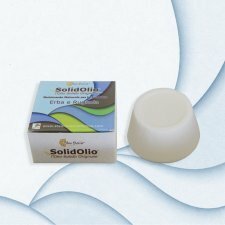 The precision Roll On applicator allows an easy and effective apllication. The package contains a wax Roll On of 100ml, 10 reusable and washable strips. 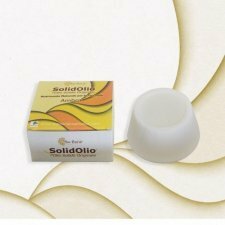 SolidOlio is a stick with a unique and balanced formula of precious natural oils and butters that with the body temperature will melt, leaving a soft film on the skin that moisturizes and nourishes deeply, making the skin radiant. 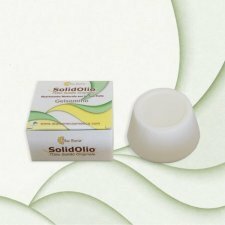 SolidOlio contains exclusively natural emollients and moisturizing ingredients such as Bio Coconut Butter and Argan Oil Bio, or antioxidants like Organic Shea Butter rich of valuable vitamins A, E and D.
SolidOlio is a complete beauty treatment're ready to be used in various ways to maintain healthy your skin can be used instead of a cream on dry skin after a bath; is a great ally during pregnancy to prevent stretch marks; in the pool to protect the dermis from the aggressiveness of chlorine; to restore softness to chapped hands and hardened heels. Since calm and prevent irritation and redness caused by shaving, men can use it as after shaving. 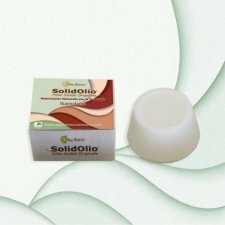 Being without alcohol, SolidOlio is indicated for each body part. Fragrance: Grass and Dew. 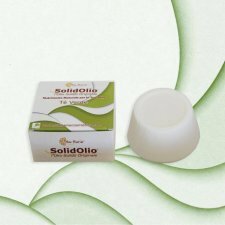 Very cool with the addition of a drop of the SolidOlio Lime Grass and Dew recalls the crystalline transparency of the morning dew on the skin, while the Bio Argan Oil, Shea Butter Bio, the Bio Coconut Oil and Vitamin and give infinite smoothness and deep hydration. Fragrance: Green Tea. From the harmonic and light notes, SolidOlio® Bio The Green conquers with its discreet and enveloping personality. Snug and sweet by oriental notes, the Myrrh SolidOlio nicely embraces your skin, nourishing it. The synergistic action of Argan Oil returned, the Shea Butter, Coconut Oil and Vitamin E gives instant radiance and beauty to the entire epidermis. Fragrance Jasmine. 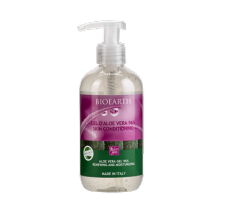 A precious and irresistible natural nourishment for the skin. Such cosmetics, in fact, stands out for its personality enveloping and caressing, and its heady scent dominated by the intense floral notes of jasmine. Fragrance Myrrh. Do you love the intense and exotic oriental flavors? Then let yourself be carried away in the nights of the East with SolidOlio Mirra! Fragrance Pomegranate and Cinnamon. Sweet, intense and enveloping but especially unmistakable. The SolidOlio Pomegranate Cinnamon leaves its mark and never disappoints! Sweet and very appealing; the feeling of the SolidOlio Pomegranate and Cinnamon is unique and unproven. The velvety and moisturized by the synergic action of Argan Oil Bio skin, that of Shea Butter, Organic Coconut Oil Bio and Vitamin E, combined with the sweetness of oily fragrance free of allergens, make this product the perfect gift for oneself and for others. Fragrance White Musk. Delicate and soft: white musk fragrance is one of the most well-known and loved. The "clean" feeling that envelops you gently caressing that of SolidOlio White Musk scented your skin nourishing and protecting it in depth thanks to emollient, antioxidant and soothing Argan Oil, Organic Shea Butter Bio, dell ' Organic Coconut oil and Vitamin E.
Excellent intensive treatmet dor face and body combining the regenerating properties of organic aloe vera (96%) with active herbs and sea vegetables. 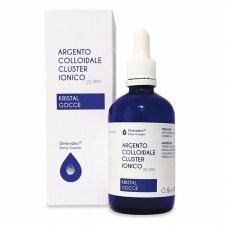 it promotes skin cell regeration and balances delicate, damaged, dull skin. 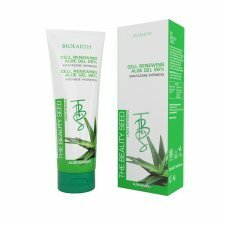 Indicated for skin aging and irritations. Dermatologically tested. Fragrance Amber. Will give your skin an exotic touch. Fragrance Sandalwood. Scent with aphrodisiac and fair harmonizing notes to highlight your skin.